MOHAVE COUNTY—A grief-stricken mother is demanding answers from authorities after her son reportedly died from a suicide while incarcerated at the Mohave County jail in Kingman. 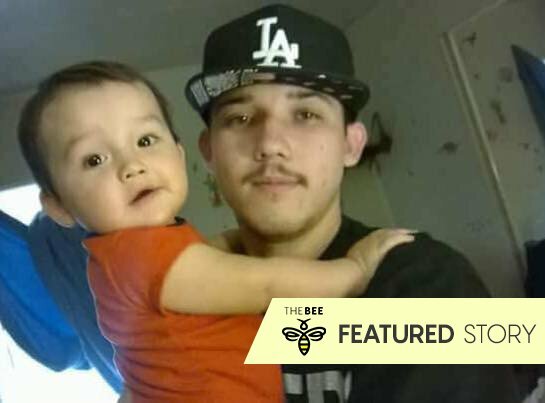 Frances Trujillo, of Fort Mohave, told the Bee she believes her son’s death is being covered up as a suicide. Trujillo’s son, Anthony Trujillo, 22, was being held at the Mohave County Jail in Kingman on a probation violation. Court documents show Trujillo had a past history with drugs and the recent violation may have stemmed from drug use. Trujillo said her son was taken to the jail on Nov. 6, 2017 and on Nov. 10, 2017 he was found hanging in his jail cell. Trujillo said she spoke to her son Anthony twice on the day he died. The first call, around 2 p.m. was just like any conversation as was the last call around 4 p.m.
“He told me that a lawyer he spoke to was discussing him being released and going back on probation. He asked if I had put money on his books, which I had the day before, but he hadn’t received it yet. It was like a normal conversation. He was upbeat, eager to come home and there was no sign of him being depressed or thinking about killing himself.” Trujillo explained. Trujillo continued by saying it took two weeks for her to finally see her son’s body. “The first time I saw him was at the funeral home as we were getting ready for the viewing. He was bruised and his face was swollen and there was injury to his ear. I took photos and you can see a handprint on his face. How is it this was missed by those investigating his death,” she said. Trujillo stated that her other son, Richard, spoke to Anthony a couple days prior to his death and Anthony mentioned that two inmates were allegedly baiting him to fight. Photos that have been provided to The Bee—and graphic in detail—show a possible outline of a handprint on the descendent’s facial area, including bruising around the head and ears indicating that force was used against him and possible blunt force trauma. There has been two reported hangings involving an inmate in the Mohave County Jail within a month of one another. Trujillo believes her son was killed and it was than staged to look like a suicide. Another thing that is upsetting Trujillo is the delay on the incident report that surrounds her son’s death. The record Trujillo is requesting is a document she needs to petition for a coroner’s inquest.